It’s important to be aware of what we’re putting into our bodies, especially when there is a medical condition present. Holiday events can be tempting because they almost always involve food that’s high in sugar, or salt, and empty calories. Good news! 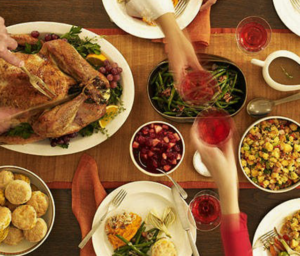 There are ways to make our favorite holiday foods healthier without sacrificing the taste. There are many delicious spices that can enhance a food’s flavor without needing to add extra sugar. Examples are cinnamon, nutmeg, and clove. Add flavor without too much salt. Foods like vegetables, potatoes, and meats can be flavored using herbs that fit the holiday season instead of adding a lot of salt. Some options are rosemary, sage, tarragon, and thyme. Many desserts and side dishes call for added milk, cream, or butter. However you can swap in healthier options and still end up with a tasty dish! Try switching whole dairy out for low fat or skim options. Instead of butter, use oils like olive or canola oil.